Home / Easy Science Projects / Light & Electricity / Refraction of Light Experiment for Kids - What is Refraction? 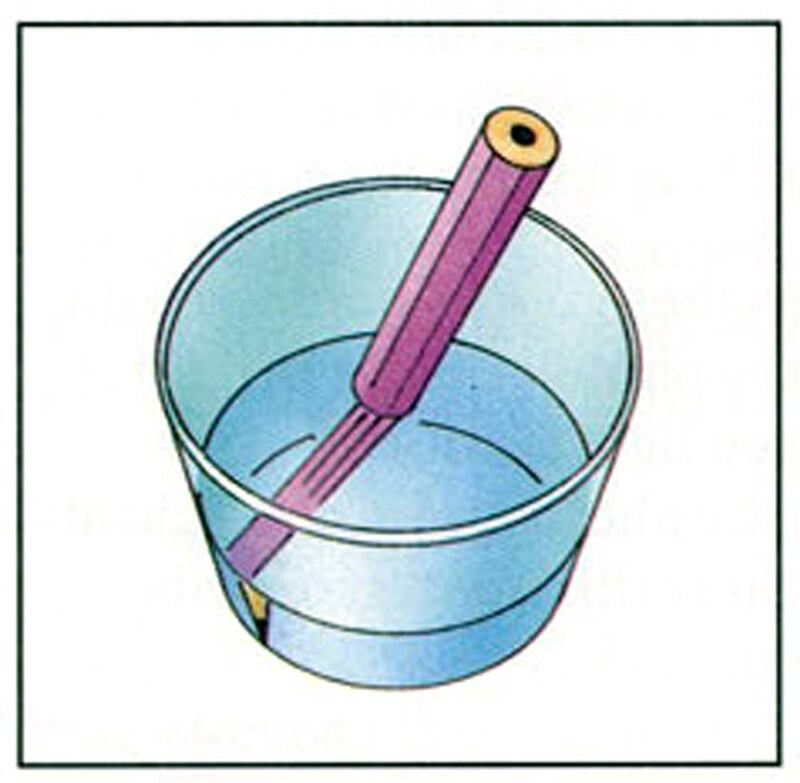 Refraction of Light Experiment for Kids - What is Refraction? When light passes from one substance to another, it may also change direction. When light rays pass from air to water or from water to air, they bend as they pass through the surface of the water. This bending is called refraction. Refraction of Light Experiment: Can you bend a pencil? Can you bend a pencil without breaking it? 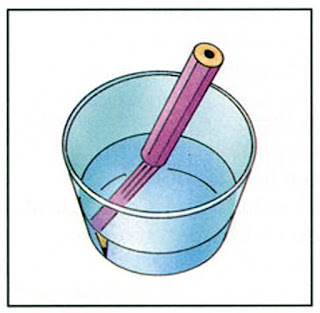 You can make a pencil look as if it has been bent, by putting it in water. 1. 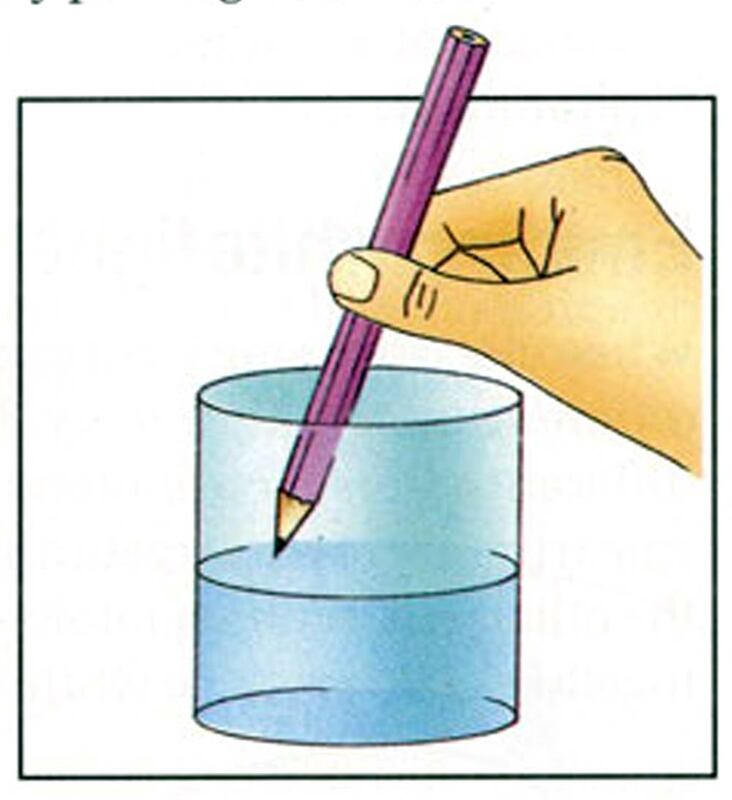 Fill the glass halfway with water Put a pencil in the glass and lean it against the side. 2. 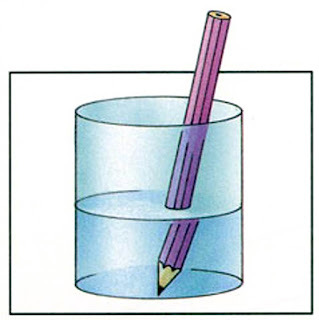 Look at the water from the side The pencil will look bent. 3. Now take the pencil out of the water. Nothing has happened to it after all! Light rays pass through other substances, as well as air and water. They travel at different speeds as they pass through these substances. As rays pass out of one substance and into another, they are refracted. The amount that light is refracted depends on two things. The first is the color of the light. Red light bends less than other colors, and violet light bends more. The second is the angle at which the light reaches the surface of the second substance. This is called the angle of incidence. The angle at which the light leaves the second substance is called the angle of refraction. 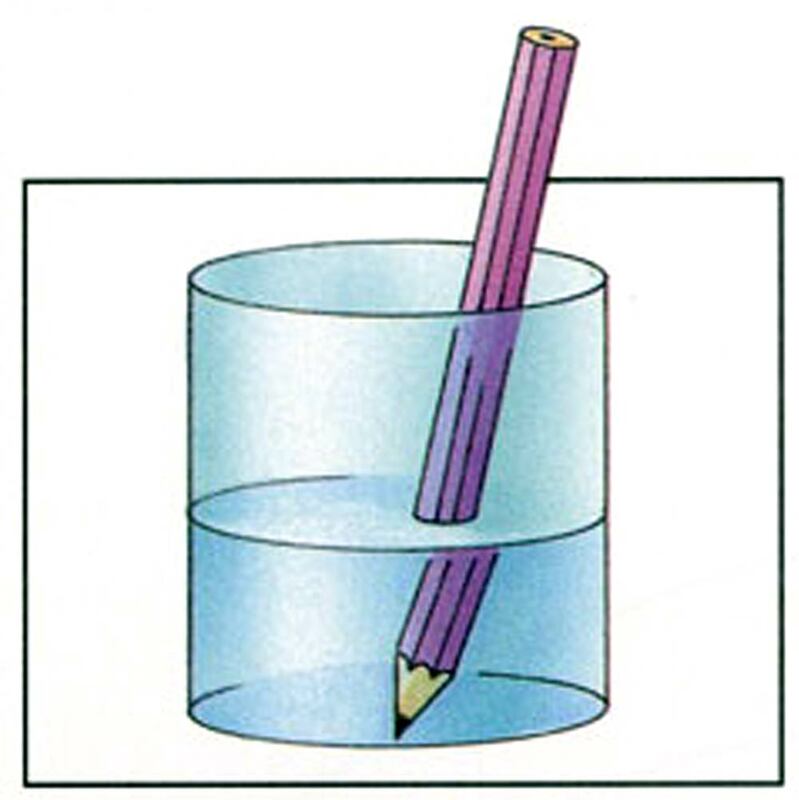 Try your experiment again, looking at the pencil from a number of different angles. You will see that the pencil seems to bend more at some viewing angles than at others.